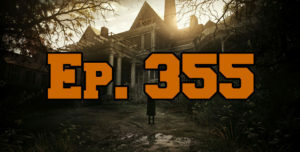 On this episode of The GAP Luke Lawrie, Joab Gilroy, and Jeremy ‘Junglist’ Ray are joined by Steve Wright from Stevivor to discuss Resident Evil 7 and why Joab is such a scaredy pants. They also talk about the other games they’ve been playing which includes For Honor, Nioh, Days of War, Absolver, Ruiner, Strafe, SWAT 4, DayZ, and more. Over in the news Square Enix and Marvel team up for a few new projects, some updated advertising guidelines in Australia that effects influences and content creators, and the ABC cancels Good Game from Australia TV. This episode goes for 2 hours and 30 minutes, it also contains coarse language.